Alsco staff, family & friends contributed 300 volunteer hours – what and effort! Earlier this year, Alsco joined with the exciting Million Metres Streams Project. It’s a three-year partnership that will help transform New Zealand’s waterways. Million Metres is led by the Sustainable Business Network (SBN), in partnership with the Department of Conservation. Its aim to is to support communities to replant one million metres of New Zealand waterways by 2026. Alsco is an SBN Member, joining more than 500 other business finding ways to change the way we work to put people and planet first. This winter, Alsco staff joined Million Metres at planting days around the country. More than 130 Alsco staff, family, and friends from five branches got stuck in. Together they contributed more than 300 volunteer hours to the effort. 800 plants at the Whau River in Ken Maunder Park, West Auckland. 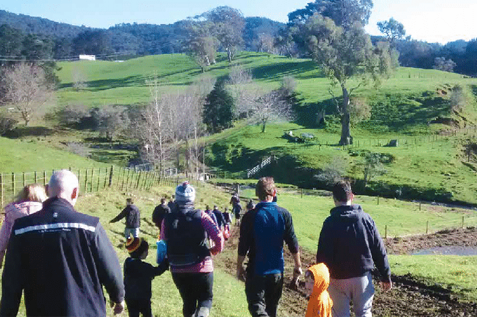 1,000 plants at Tahawai Stream in Katikati, Bay of Plenty. 800 plants at Mangapapa Stream in Woodville, Manawatu. 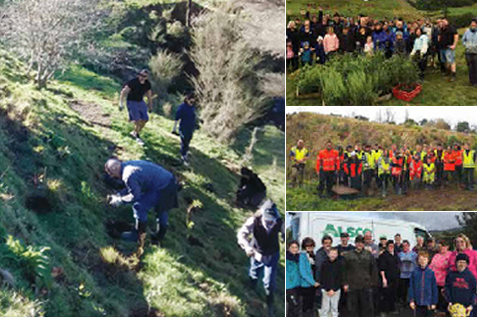 400 plants and trees at Belmont Stream in Seton Nossiter Park, Wellington. As the trees from these projects grow they will shade and cool the waterways. They help protect the waterways from soil erosion and pollution and they provide habitat and food for native birds and fish. The Million Metres project is gaining momentum all over the country. It has now raised over half a million dollar for 25 waterway restoration projects across New Zealand. Georgi Hart is project lead for Million Metres. Gavin Smith is Business and Product Development Manager for Alsco. “Million Metres is a wonderful partnership for Alsco. It is something our employees, families, suppliers, and customers can really relate to and there is a genuine energy associated with our involvement. It is fantastic to see kids, parents and friends join our teams for these plantings. Not only do they enjoy participating, but we know we are making a positive and tangible long-term environmental impact, and that flows onto social goodwill and community pride,” he says.